What happens when soft violet meets red? Sure it will looks fresh and wonderful. The white and violet chess pieces give you a new sensation in your game. We try to lock the fresh look into our chess pieces and bring them for you. The red will meets the soft violet on the squares board. Our color chess is one of our custom product. 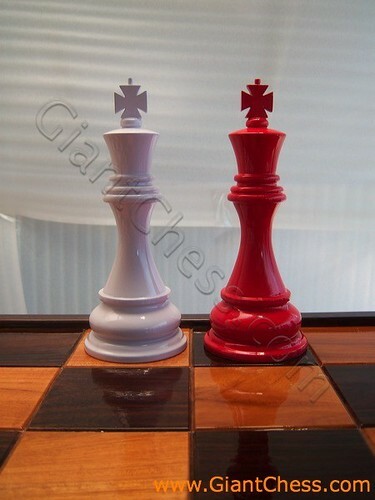 Beside ordinary and another unique design of chess pieces, we also provide various kind of color chess. We have yellow, green, blue, silver, and more color for your chess game. So if you want to your own color, you can order it to us. Those color chess are made of Teak wood and carved by expert cratsman. So unique and awesome.